Although it no longer exists, the factory that used to be on the other side of the river in front of our home once manufactured textiles and employed over 3000 people. It has now been knocked down but will soon become home to the court house and a thriving commercial center. If you are approaching along Riviera Berica from the east you will see a construction area across the river to your right directly in front of the guesthouse, just past the traffic light where the bridge is. If you are coming down Borgo Berga from the top it will be across the river to your left directly in front of our home. Cotonificio Rossi was a landmark of the town, once having played a vital role in Vicenza's economy. 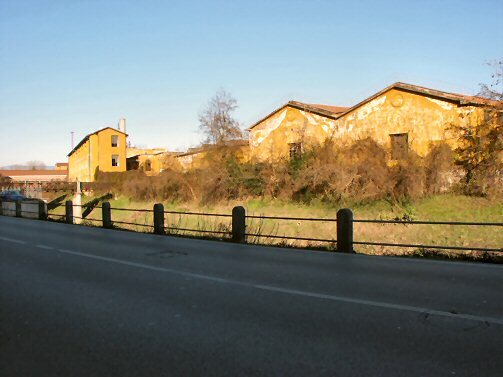 The homes behind the factory were built to house the workers, though they have long since been renovated.